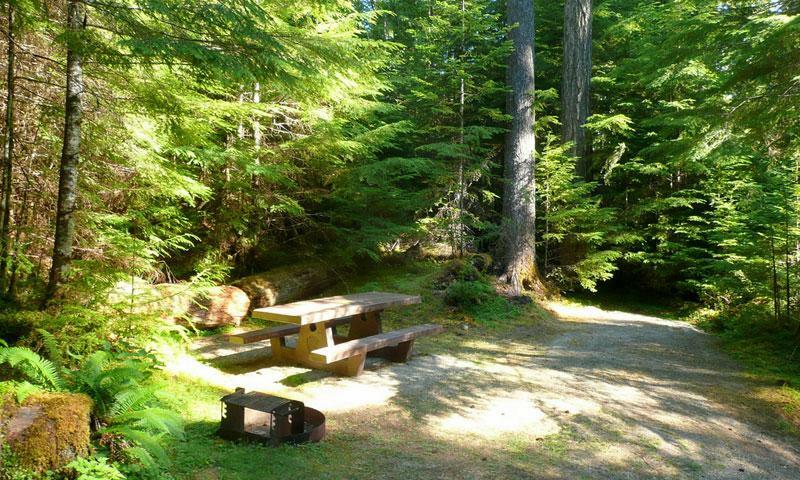 Close to the popular Hurricane Ridge Trailhead and Visitors Station, the Heart O’ the Hills Campground is extremely popular, but still very private. In Heart O’ the Hills Campground one can camp amongst the giant trees in the old growth forest. This site also features fire rings for safe and enjoyable campfires. FIRST COME, FIRST SERVED. Where is Heart O’the Hills Campground located? How can I reserve a site at Heart O’ the Hills Campground? This camp is first come first serve; there are no reservations for Heart O’the Hills Campground. Tell me more about Heart O’ the Hills Campground. Season or Open Dates : Year round, but may be walk-in only when snow falls.